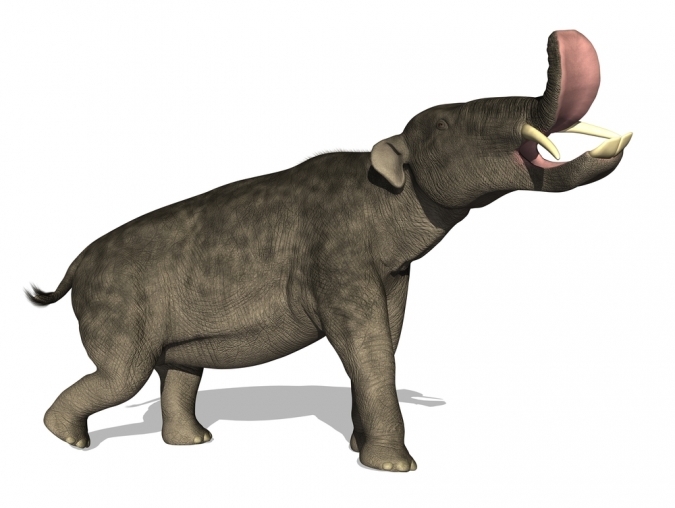 How did our ancestors diversify into dogs, cats, monkeys and elephants? Most mammal characteristics appeared in the early Eocene, 56 mya., and continue in all but a few of the descendants of those early "entrepreneurs." 1031 large orders of the Mammalia, excluding whales and bats, have been followed during the Coenozoic since dinosaurs disappeared and some small mammals appeared. The size of these species increased whenever a new group made its appearance and took over a set of niches. The result of the adaptive radiation was mammalian evolution as we know it. Pasquale Rala of Universita` degli Studi Federico II and all his Neopolitan and other colleagues from Rome, Stockholm and Helsinki, start off in the Eocene and take us through the apparent non-radiation of mammals at that time. Unfortunately, using this technique, extinctions cannot be included, so the part of extinct species in evolution cannot be considered So this group of researchers have worked out simulations of how evolutionary rates could proceed in various fictional ways. They have published their very interesting findings, entitled, Rapid action in the Palaeogene, the relationship between phenotypic and taxonomic diversification in Cenozoic mammals,in the Proceedings of the Royal Society B: Biological Sciences. Diversification of mammals is strongly indicated as happening after the extinction of the "terrible lizards." The natural selection of different phenotypes (in this case, mainly body shape) was strongly associated with this diverse mixture of mammalian types. As only placentals were involved in the research, their expected adaptive radiation correlates with these results well. Rates are at first high, then both the rate of evolution of body shape (phenotype) and the net diversification rate slow down. The diversification slows 4 million years after the evolution rate. Maybe the body size changed slower than other characteristics in the big groups. 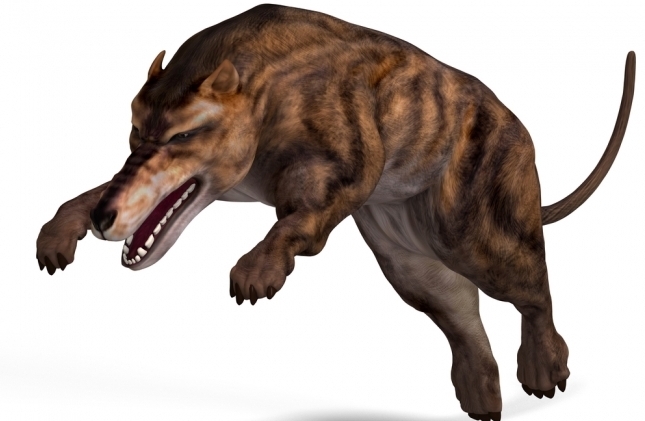 Terrestrial mammals in the Coenozoic were shown to have increased almost exponentially in their size until the middle of the Eocene period, about 40 mya. Maximum size seems to have stayed stable then, with changes possibly caused by global temperature changes and land areas. That explosion in size certainly seems to be backed up here. Many fossils indicate certain groups to have differentiated AND speciated quickly during the early part of the Eocene. Dog, camel, tapir, horse, cat and other groups are well known to palaeontologists to be very diverse in the mid-Eocene. Then, the remaining diversification took place within these new groupings, with almost no new groups evolving. Species closely resembled their ancestors in size (and possibly several other ways) after the Eocene period was over. Diversification rates up until recent times have strongly declined, after a late Eocene peak. When small mammals were included in studies like this, there is less evidence of changes in diversification. This could make sense if the small animal groups diversify faster than large groups. The fossil record of small groups is far more observable for us in very recent fossils than at the beginning of the Eocene. Unfortunately, large mammal groups are reported as having high rates of speciation and extinction. Overall, during the whole Coenozoic period, the rate of body size (phenotype) changes declined, according to both this study and the fossil record. The pace of these changes was successfully traced here and could be used for other mammals and groups. Use of the available fossil record during studies is crucial to fine-tune the operation, but the model seems to work ideally for those records currently available.